All your employees seem to be tweeting, or at least engaging in some form of social media. Can you keep track of everything that is being said? Here are 10 things you should consider. The new youth Police and Crime Commissioner, Paris Brown, was forced to apologise – and eventually resign - this week for ‘inappropriate’ comments she made on Twitter before she was appointed. The tweets raised some tricky points. 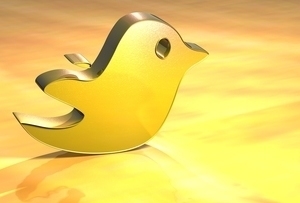 How can HR departments manage employees’ tweeting habits? And how far back should they search when considering a potential new hire? Stuart Jones, a solicitor who specialises in employment regulations, has these 10 tips for monitoring social media in the workplace. Employers taking on new recruits whose role may be public or client facing can check applicants’ LinkedIn, Twitter and any other social media as part of their due diligence process. It may be considered snooping but employers argue that it is the diligent thing to do to avoid potential embarrassing revelations further down the line. Looking at a candidate’s social media may provide an insight into their character and how they will fit into an employer’s organisation. Beware letting an ill-advised tweet rule your recruitment process. It is possible for those who lose out on a job to bring discrimination claim against your business if they feel that they were passed over for the role because of, for example, their religious views. Before the days of social media, political leanings or religious beliefs may not have been discovered until the staff member was in place and started to proffer their opinions by the watercooler. But today any such opinions shared via Facebook or Twitter can be accessed by employers who might not like what they see. In the recruitment process, employers need to ensure that they can justify their decisions fully to avoid ending up with a costly claim on their hands. Develop a solid social media policy for your existing and new workforce, and make sure everyone is familiar with it. HR and any in-house or external legal advisers should be consulted to ensure that the policy is robust and then it must be properly communicated to everyone and reviewed regularly. The use of social media is changing rapidly, so your policy will be useless if it sits unopened in the depths of your file structures – it really does need to be a living document. Outline to your staff whether a work-based Twitter or LinkedIn account ‘belongs’ to them or to the business. This will mean there is less of a chance of an embarrassing spat over whose property those cherished contacts or followers are. Remember the case of Laura Kuessberg, former political correspondent at the BBC? She incurred the broadcasting behemoth’s wrath when she attempted to change her twitter handle as she started work with her new employer, ITV. It garnered more negative publicity for the BBC than if it had simply lost her Twitter followers – a cautionary tale highlighting the importance of reputational damage issues that arise from the use of social media. One employer last year found itself in the Employment Tribunal fighting a constructive dismissal case after a HR executive claimed he was forced out of his job because he had put his CV online and advertised that he was interested in other ‘career opportunities’. The case eventually settled, but it wasted unnecessary time and money for the employer. The fact that employees appear on the likes of YouTube is not in itself a disciplinary offence. Employers should sense check whether this has actually caused any real or potential reputational damage. If employees commit acts of misconduct on social media, such as derogatory comments about colleagues or clients, then such entries on Twitter or Facebook are excellent evidence of that misconduct. Controversial comments published on the web may not necessarily make the conduct worse than if they had been overheard making those comments in the pub. Each case should be looked at on its own merits. As the use of social media continues to grow, employees should think twice before they make a comment which could be misinterpreted. On the other hand, employers should ensure that all staff are fully aware of the potential consequences of what, at the time, they think is a joke with their cyber friends. Stuart Jones, employment partner at national law firm Weightmans LLP.